Strangely, there are similarities between the foundation of the original Newcastle High School for Girls and second time around. I was always aware that Church High started off as Newcastle High School when founded in 1885 as a few of the girls and staff were too. Indeed, as I’ve said before, the School badge never changed. Many a person will have mused, as I did, over the whereabouts of the ‘C’ in the overlay of letters. But it definitely did only say NHS. So, because this blog is now taking the form of a Heritage discourse, I thought it fitting this next post should go back to the very start. 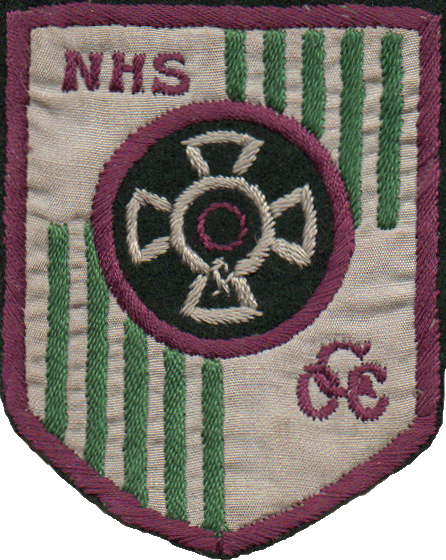 A version of the Church High School badge sporting the overlapping letters NHS from the 1964 School Magazine. 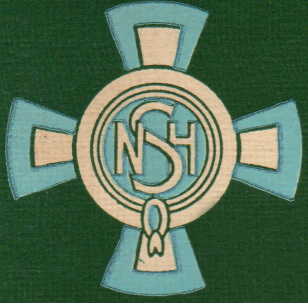 Just as the parent company of the new NHSG (the Girls Day School Trust) is London-based, so too was the organisation Sir Benjamin Chapman Browne wrote to on behalf of a newly-formed Committee in Newcastle wishing to provide an education for their daughters with a Church of England based ethos informing the curriculum. A leading industrialist within the City and spokesman for British industrial capital at a national level, B C Browne was an important member of Newcastle Corporation and it is most likely owing to his influence that the Tankerville Terrace land was sourced and leased. Sir Benjamin Chapman Browne, Chairman of Newcastle High School’s Local Committee, served as Lord Mayor of Newcastle 1885-1886. 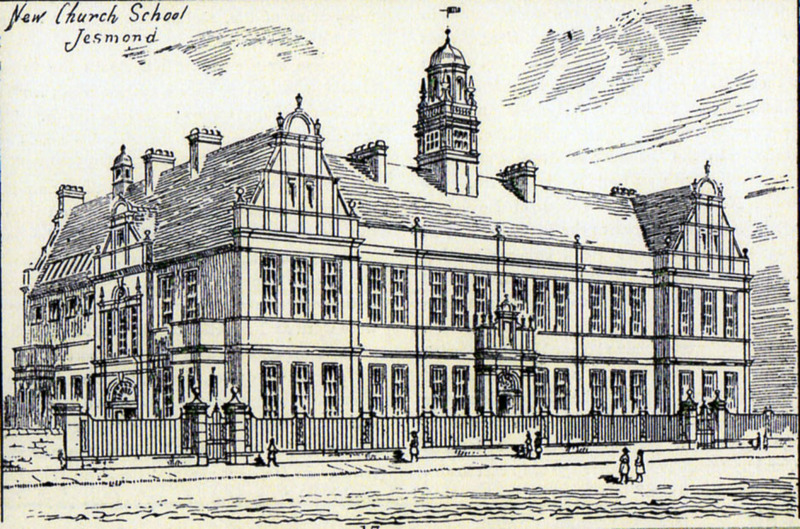 A High School for girls had already been in existence in Gateshead since 1876. Originally a small school set up in leased premises (Prospect Cottage, Bensham), it had moved to a permanent site on Windmill Hills in May 1880. 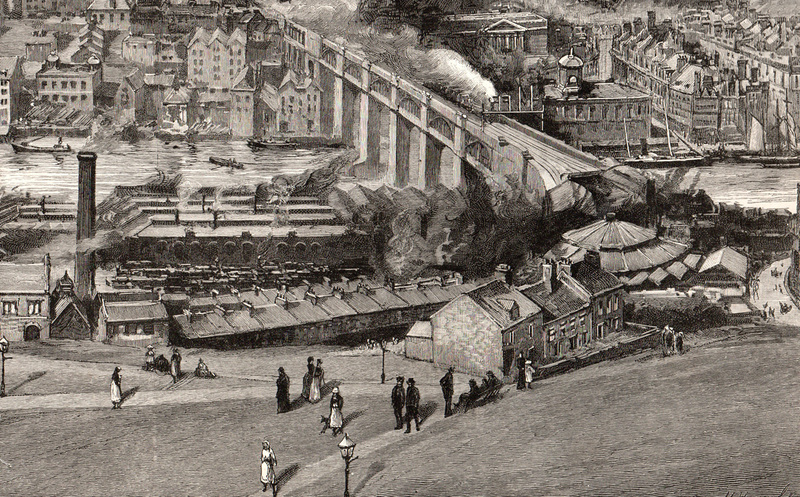 Even then the surveyor had suggested a move to Newcastle, because to get to the High School from the west end of Newcastle and Jesmond, the fast-developing middle-class suburb of Newcastle where those with the money to pay were increasingly setting up home, girls faced a long daily trek over the High Level Bridge – at this time the main bridge over the Tyne – followed by either a steep walk or tram ride up to Windmill Hills. 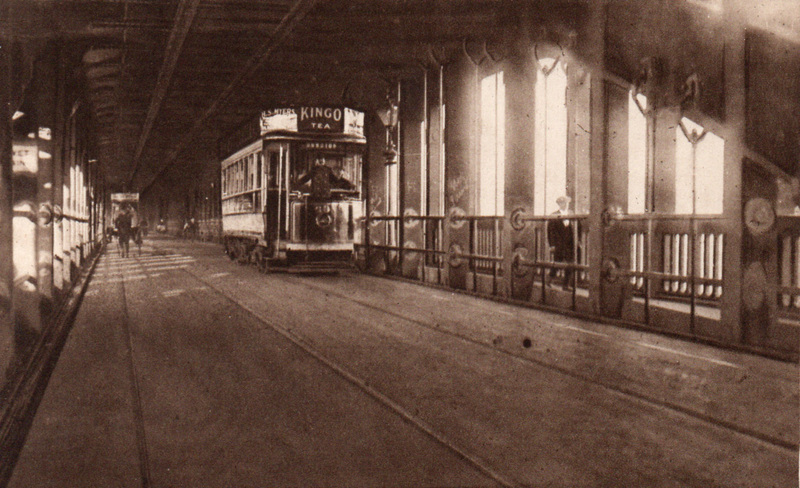 The cost of a trip by horse tram across the High Level Bridge from Gateshead to Newcastle was one ha’penny (see Thomas Knowles Bell’s ‘A Ha’penny over the High Level’). This early 1900s postcard shows an automated tram on the same route. 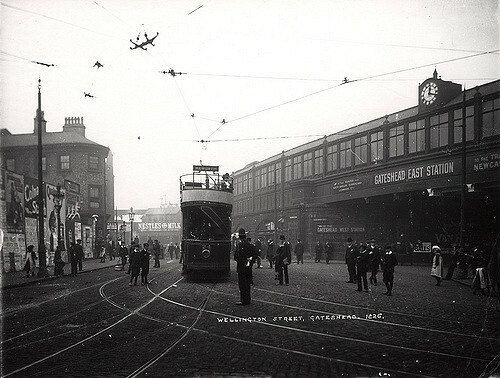 Tram entering Gateshead High Street in the early 1900s. Photographic postcard depicting Windmill Hills as it was in the 1880s. The building with the roof tower in the distance at the end of the terrace is Gateshead High School for Girls. Fewer and fewer girls were keen to make this journey as Gateshead became more industrialised and the social conditions ‘distressed’. 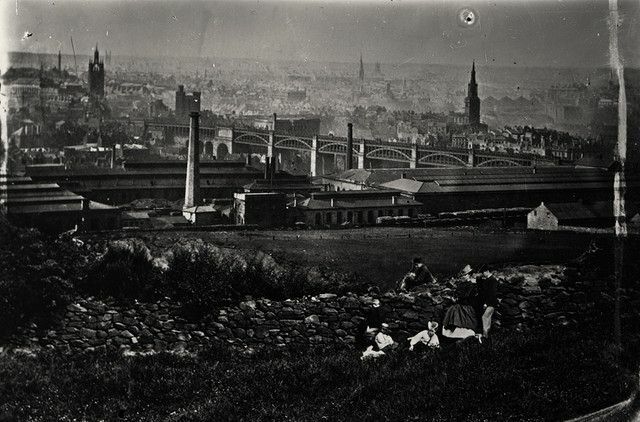 View of Newcastle upon Tyne & riverside industries from the Windmill Hills (above) and Gateshead East Station (below). For some, the non-denominational ethos of the G.P.D.S.C. schools was also a bit of a stumbling block. 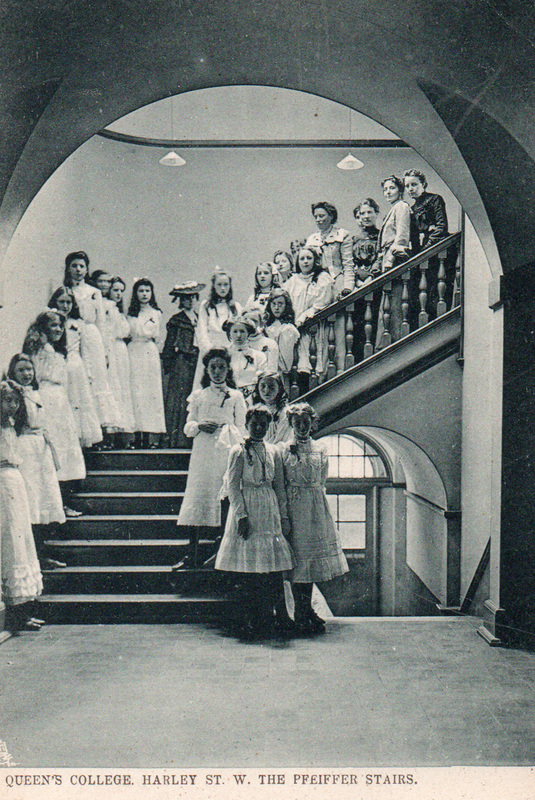 So when a notice appeared in the national press indication that the Church of England was intending to create its own schools for girls – along similar lines as the Girls Public Day School Company but with a religious tone – the Church Schools’ Company were duly invited to form a school in Newcastle. Gateshead’s middle class families would have approached the Girls Public Day School Company in much the same manner ten years previously with Gateshead High School for Girls being the result. 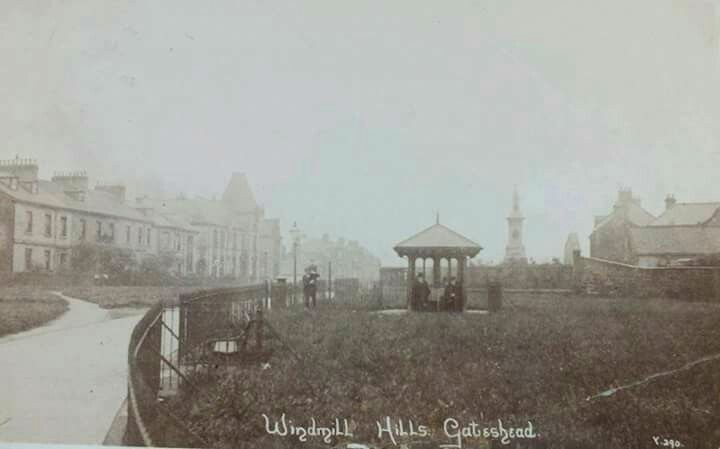 Gateshead High School for Girls at Windmill Hills c 1900 (above) and the logo of the G.P.D.S.C. 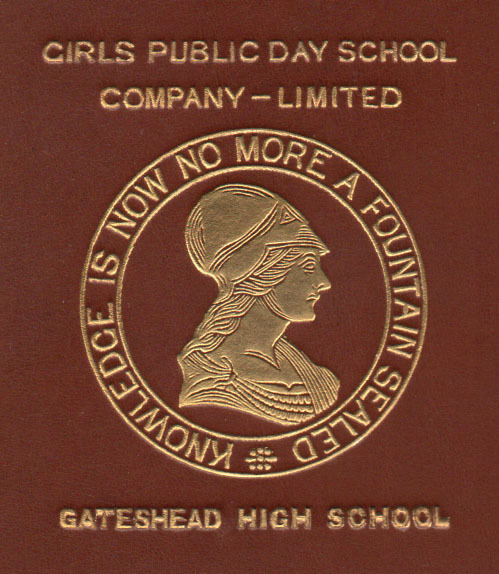 (below) depicting their motto: ‘Knowledge is Now No More A Fountain Sealed.’ In keeping with the ethos of both companies, the CSCo’s motto is taken from the Bible and G.P.D.S.C.’s motto from Tennyson’s poem, ‘The Princess.’ The logo as depicted here is from the cover of a 1902 Gateshead High School book prize. However, it very soon became clear that the school they founded was on the wrong side of the river as the business men of Tyneside began to choose to move their families away from the dirt and grime to the modern villas being built in the leafy suburb of Jesmond. 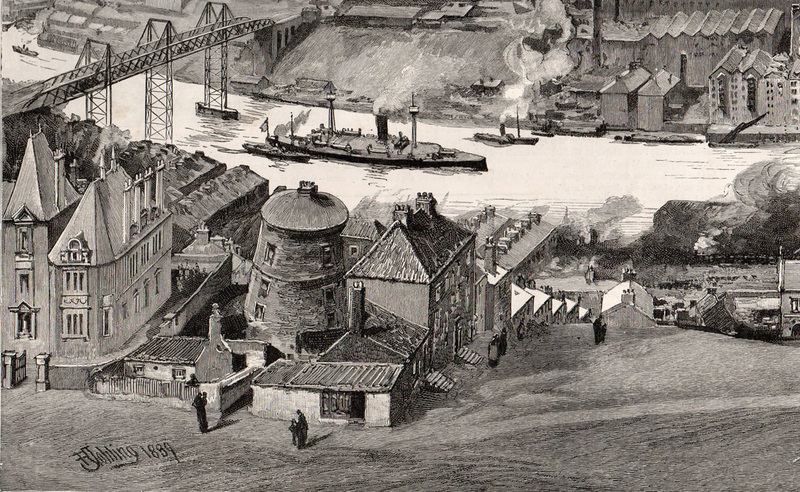 These details from an etching published in The Graphic, 14th September 1889, created to illustrate the meeting of The British Association in Newcastle clearly show the Gateshead High School building next to the disused windmill on Windmill Hill (above) and the industrialised nature of the Gateshead bank of the Tyne in the area of the High Level Bridge (below). The leafy villa dwellings on Osborne Road, Jesmond c 1900. Gateshead High School for Girls, Windmill Hills c 1885. However by 1889 when a G.P.D.S.C. 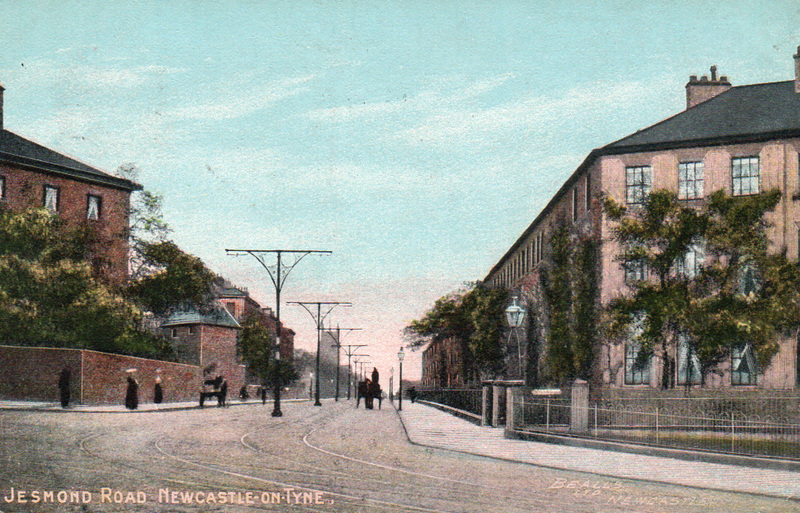 Preparatory School was finally opened across the river in Devonshire Terrace, Newcastle – intended to act as a ‘feeder’ school for Gateshead High School for girls up to age 10, this was the first attempt to try to address the troublesome issue of falling roll – there was already a High School for Girls in existence in Newcastle, of course. And not just the usual type of school converted from a residential property either, but an architect designed, state-of-the-art, purpose-built school complete with a fully-equipped Gymnasium and a Science Laboratory. Not surprisingly, the GHS Preparatory School failed in its primary purpose and ‘numbers continued to drop with increasing rapidity.’ [Carter, p.23] By the autumn term of 1894, Gateshead’s two schools together contained only 191 pupils, which was when the G.D.S.T. first tried to purchase the Newcastle High School building on Tankerville Terrace. But, way back then, they were firmly told “No”. This didn’t deter them though. As we know, they built a High school two streets away. G.P.D.S.C.’s High School building in Jesmond opened in 1900. 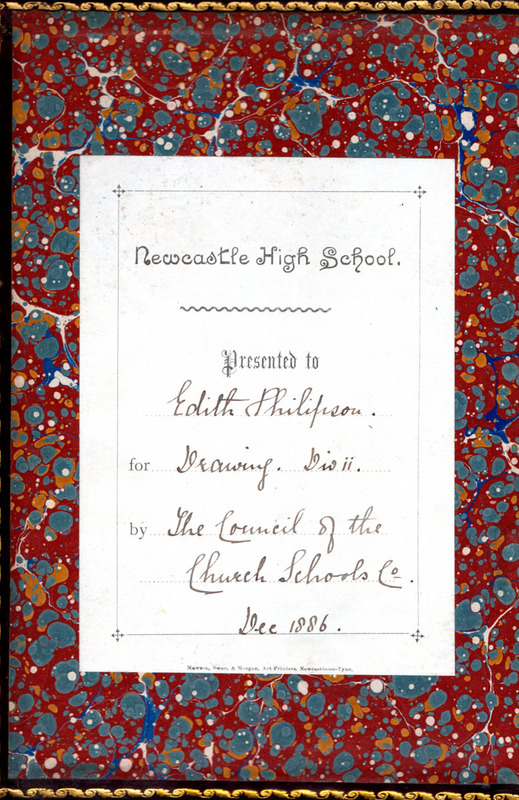 The Minutes of the Church Schools’ Company relating to the life of Newcastle High School can be viewed via Tyne & Wear Archives at The Discovery Museum [Cat. No: E.NC17/5/1]. The entry for July 1st 1894 [Council Minutes Vol 4 P.140-142] records details of a Special Meeting of the C.S.C. Council held at the Church House, Deans Yard, SW, on Friday 13th July 1894 at 12 noon called by the Company’s Chairman, Rev. Archdeacon Emery to consider a letter affecting the Company’s School at Newcastle. The discussion on record from that day reads as follows: ‘Proposal of G.P.D.S. Company to establish school: Read a letter dated 25th alt. 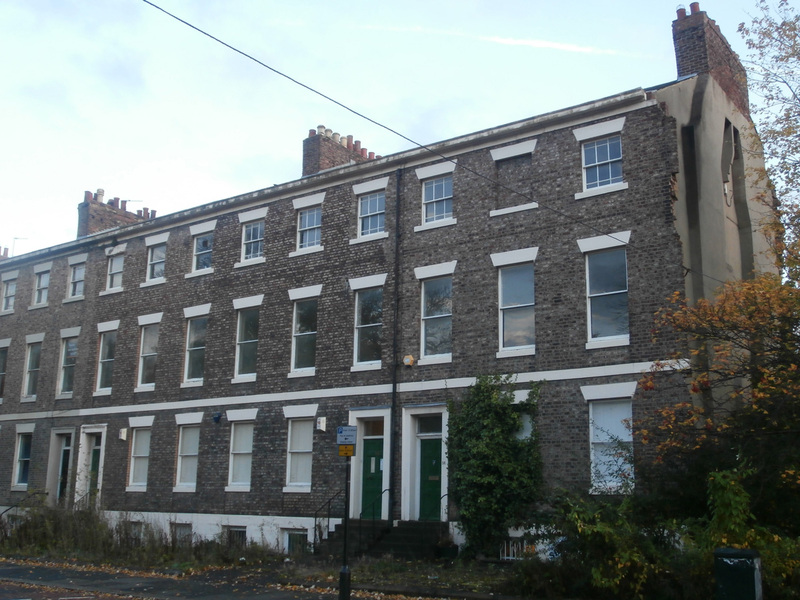 from Mr J. C. Tarver stating that the Girls Public Day School Company proposed to open a School in Newcastle on Tyne and that the Local Committee of which he was Chairman would be glad to know whether the Church Schools Company would be willing to sell their premises in Tankerville Terrace. Intention of Council of Church Schools Company: Resolved to inform Mr Tarver that the Council had no intention of abandoning their School at Newcastle on Tyne, and that it was hoped that care would be taken to avoid such a position, for the proposed school of the Girls Public Day School Company might create needless rivalry between the two Schools’. 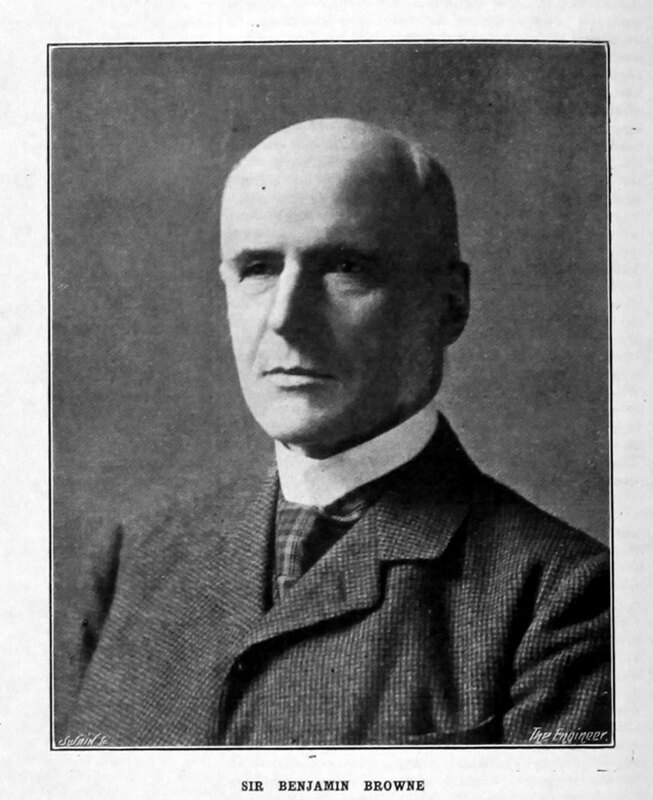 Church Schools’ Company Chairman, Archdeacon William Emery of Ely. A lady teacher working at her desk at the front of a typical Victorian classroom in a seemingly “first class” private school. At that time in Newcastle, Jesmond Road would have been a very smart address. Nowadays, the road has been split into two with the middle section demolished to make way for the motorway ring road. However, the first church built to serve the needs of the new suburb of Jesmond – Jesmond Parish Church – still sits alongside the road. 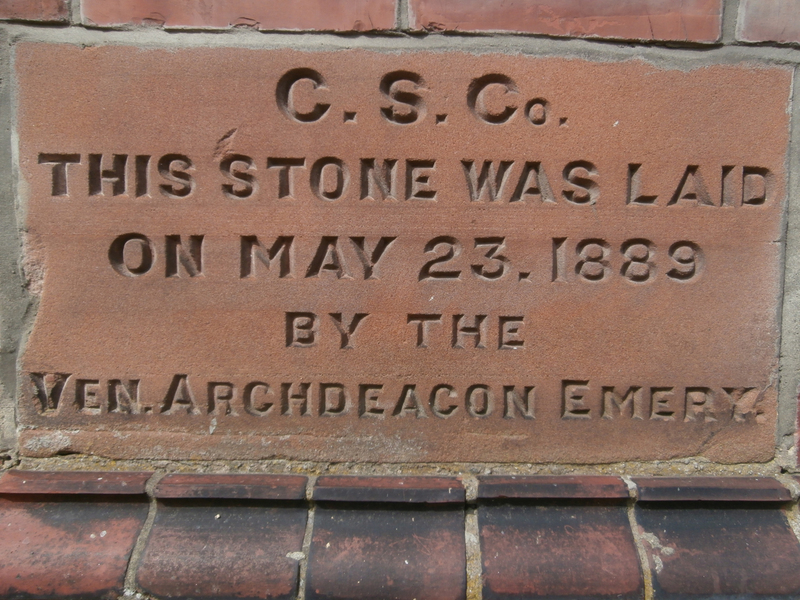 Until the erection of St George’s Church at the top of Osborne Road, the incumbent of Jesmond Parish Church was referred to as the Vicar of Jesmond. There have always been close links between Newcastle High/Church High School and the Vicars of Jesmond which go back to as early as the School’s founding. In 1882, Rev. 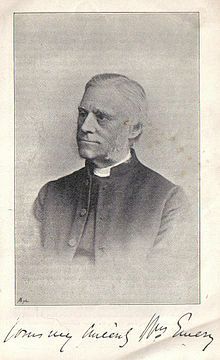 Somerset Pennefather was appointed the second Vicar of Jesmond and his wife, Catherine, became a member of the new High School for Girls’ Local Committee (basically, its Governing Body) in 1884. 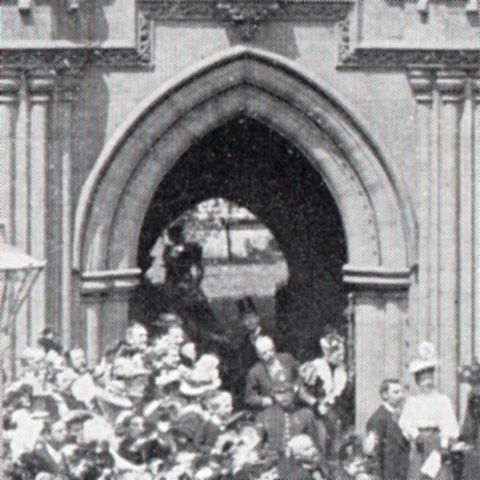 When the Pennefathers (pictured in the archway) moved on to St Mary Abbott’s, Kensington, they became friends with Princess Louise, who lived at Kensington Palace, leading to an introduction to Queen Victoria in 1897 [Image: The Graphic]. The inaugural Local Committee who brought the new school into being and acted as its guarantors was comprised of twelve people, half of whom were women: in addition to Mrs Pennefather, Mrs Emily Wilberforce (wife of the first Bishop of Newcastle, appointed to the See by Prime Minister William Gladstone), Mrs W D Cruddas (wife of William Donaldson Cruddas, industrialist of Haughton Castle, at this time Director of W G Armstrong & Co and later Tory MP for Newcastle, Chairman of The Daily Journal and High Sheriff of Northumberland), Mrs J Spencer (wife of John Spencer, owner and director of J Spencer & Sons’ Newburn Steelworks, one of the most advanced steel mills in the country which made the steel plate for RMS Mauritania), Mrs W Boyd (wife of William Boyd, a progressive engineer and Managing Director of the Wallsend Slipway and Engineering Co. who became the first Mayor of Wallsend) and Miss Hewison herself, who acted as Local Secretary (whose role it was to communicate with the Church Schools’ Company in London.) Dr Ernest Wilberforce, the Bishop of Newcastle, also sat on the Local Committee as the School’s Patron, in addition to a further six men representing a cross-section of the most eminent citizens of Newcastle and Northumberland at the time: Councillor B C Browne, engineer and Chairman of R & W Hawthorn, Leslie & Co. who served as Lord Mayor of Newcastle from 1885 – 1887, receiving a knighthood in the latter year); Canon Arthur Thomas Lloyd, the first Vicar of Newcastle and the Bishop’s right-hand-man at St Nicholas’ Cathedral, who would himself become the third Bishop of Newcastle in 1903; the Archdeacon of Northumberland, George Hans Hamilton, a great advocate of prison reform and previously Archdeacon of Lindisfarne; Councillor Thomas George Gibson, a businessman who served as Sheriff of Newcastle in 1881, Lord Mayor in 1882 and , in partnership, would go on to set up the Newcastle upon Tyne Electrical Supply Company in 1889 and build the Pandon Dene power station; Mr C B P Bosanquet, JP, of Rock Hall, Alnwick, Vice Chairman of the Alnwick Board of Guardians (who ran the Alnwick Poor Law Union [Workhouse] and a founding member of The Northumberland County History Committee; and Mr E A Hedley, most probably co-owner of colliers Hedley and Bell in 1884 and a descendant of industrial engineer William Hedley of Newburn. Presumably the majority had a vested interest in the School as parents of daughters. On the opening of the new school buildings on Tankerville Terrace, Jesmond Parish Church was chosen as the venue for the Thanksgiving service attended by Helen Gladstone. 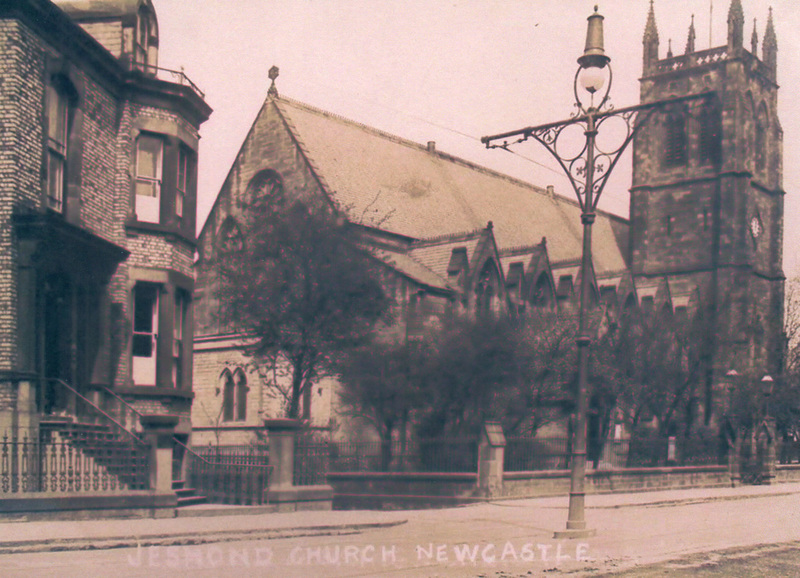 Photographic postcard showing Jesmond Parish Church as it looked when it could be entered from Jesmond Road. Jesmond Road was initially created in the mid-1800s to provide access to the City’s main cemetery in Victorian times; designed by John Dobson, it is now known as Jesmond Old Cemetery. Designed by one of Newcastle’s foremost architects, John Dobson, the old cemetery is the resting place of one of the architects of the Church High building, Thomas Oliver of Oliver & Leeson. His more famous architect-surveyor father, also called Thomas, is buried there too. 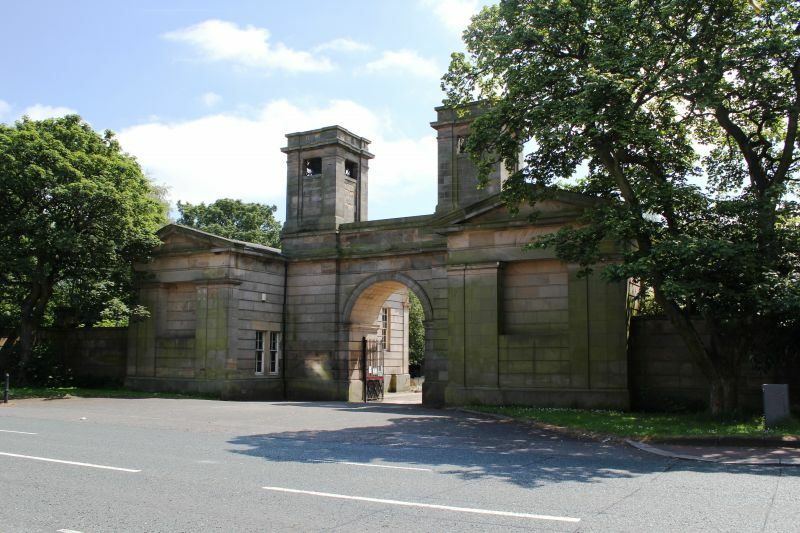 John Dobson’s entrance portico to Jesmond Old Cemetery. Owing to its link with the new cemetery, the 1884 map of Newcastle shows that Jesmond Road was originally named Cemetery Road. 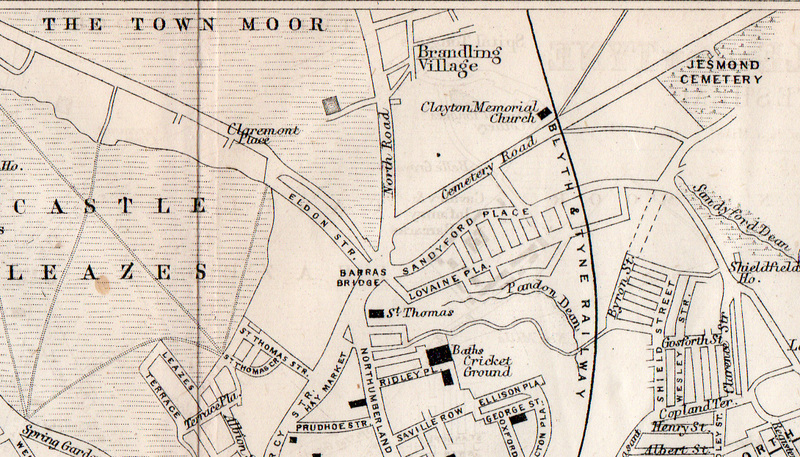 According to the 1884 map of Newcastle, at the time of NHS’ founding, Jesmond Road was known as Cemetery Road. Quieter now, the east end of Jesmond Road still stands today, as do all-but-one of the buildings that served as Miss Hewison’s school. Three of the houses on Jesmond Road (Nos. 54. 56 & 58) which made up Miss Hewison’s School are still there today. 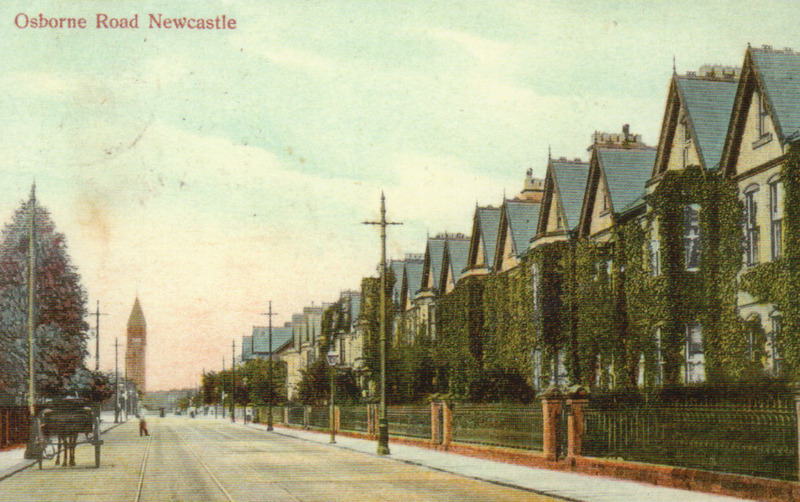 However, at the time Newcastle High School opened its doors in 1885, the fashionable thoroughfare of Jesmond Road would have looked much like it does in these beautiful contemporary postcards. 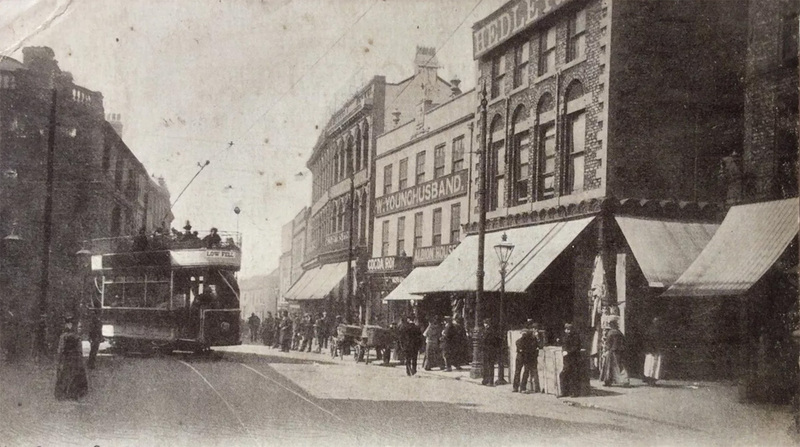 Fashionable Jesmond Road as it appeared in the early 1900s. By 1904 (above) and 1916 (below) when these postcards were posted, the School had moved to its present site in Tankerville Terrace. However, it would have once been located in the far distance on the right-hand-side of the road. The new school was only situated in Jesmond Road for five years and, as I am now in the optimum position to really appreciate and understand as I write this at the start of the fifth year of NHSG, that whole period must have been a time of complex transition, change and adjustment. There will have been excitement. but those years won’t have been easy for the staff (new and old) and Governors. The present day position is identical: a new school started within the walls of a pre-existing educational establishment; new owners and leaders; independence exchanged for management from London; some staff kept on, some not; new branding and new staff hired; a mix of old girls and new; the building of new premises ‘just-up-the-road’ and then, eventually, the school moved lock-stock-and-barrel. As I also know, much of the strain of this process will have been shouldered at ground level within the Jesmond Road building and, indeed, for these years references to the School in both the Church Schools’ Company Council and Education Committee are quite brief. Indeed, other than handwritten minutes in log books and the Company prospectus, the earliest document that seems to exist is a 1902 advertisement for a new Head Mistress once the School was established within the Tankerville Terrace buildings. There is also a direct parallel with the present NHSG here too, of course. No doubt navigating such uncommon changes must take its toll on a Head. The first ‘transition’ Head of Newcastle High School was Newnham College graduate, Miss Caroline Ackerley, who served for four years in the new premises. The challenges faced by her replacement, Miss Eva Mary Siddall, were arguably even more demanding. Girton College educated, Miss Siddall had the unenviable task of fending off a series of threats to the School from GDST: in 1896 when they tried to buy the new Tankerville Terrace building to use as their school; in 1899 when the Gateshead High feeder school was set up in Newcastle; in 1900 when the GPDSC bought land and eventually opened their rival school two streets away; and again in 1901 when they changed its name to “The Girls’ High School, Newcastle upon Tyne”. Even Central High School’s own historian, Olive Carter, refers to these moves as ‘scarcely tactful of the GPDSC’ and records that ‘a year later it not unnaturally had to revert to the original as a result of objections by the Church Schools Company. Thus the rivalry that would have been natural between two schools of similar type, housed moreover very near one another, probably owes a good deal of vigour to historical causes.’ Miss Siddall was successful in her task, but it is perhaps no surprise that she gave notice of leaving only a year later in 1902. Miss Siddall was a lady of great faith. 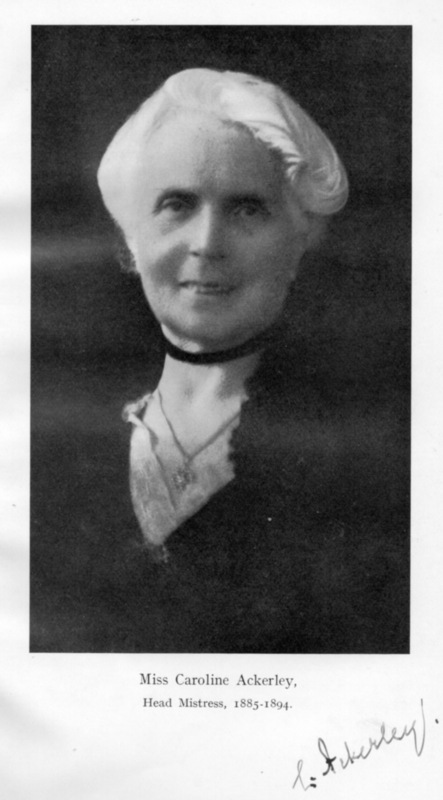 She later trained as a Deaconess and became Head Deaconess of Newcastle. 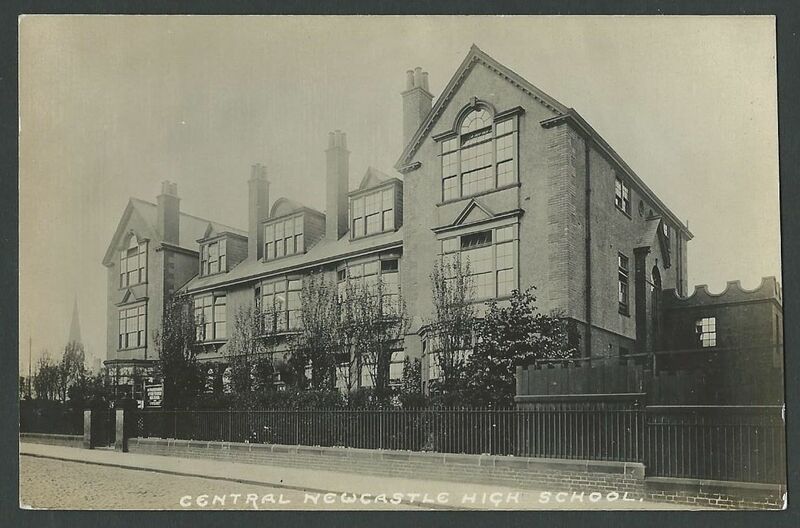 So what do we learn about the beginnings of Newcastle High School/Church High from copies of Church Schools’ Company Minutes in the Archives once the decision had been taken on May 29th 1884 to establish a school in Newcastle B C Browne’s letter? The first reference occurs on October 10th 1884, when it was minuted that Miss Hewison’s position had been reviewed and the reorganisation of her school decided upon. The Council considered creating a new office of Lady Superintendent, a position which had certainly worked well at Queen’s College, London, the very first college to be created for women in England in 1848. 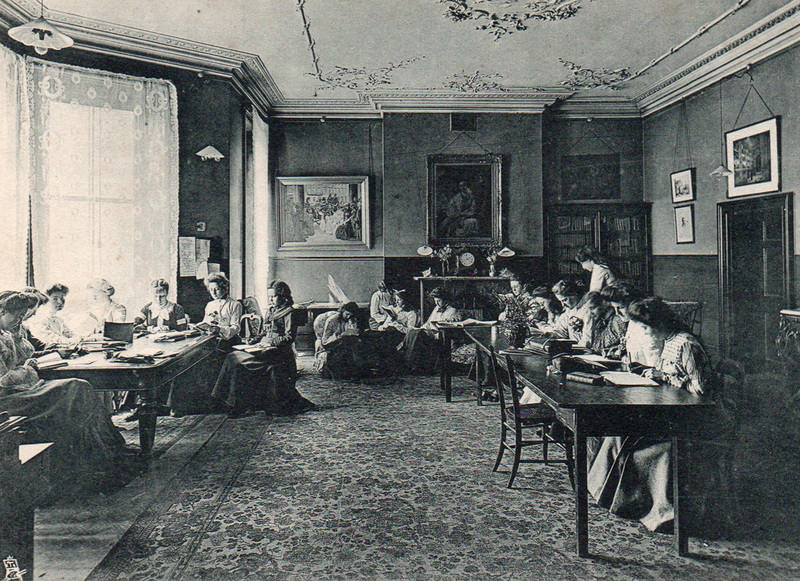 However, it was eventually resolved that ‘the Education Committee shall have full powers to complete the schemes for the reorganisation of Miss Hewison’s School – especially in reference to the arrangements for utilising the services of the existing staff of teachers – and that the connection of Miss Hewison with the school would be sufficiently served by her position as a Mistress of Boarding House and Teacher of Music.’ Plus ca change then. What the Council were actually ratifying here was even more heavy-handed, however. The minutes of the Education Committee which sat on the previous day show that in addition to requesting the lease of Miss Hewison’s property for perusal, an amendment had also been made ‘to exclude Miss Hewison from the privilege of teaching either directly or indirectly within 20 miles of Newcastle except in connection with the Church Schools Company.’ A distrustful, draconian measure. 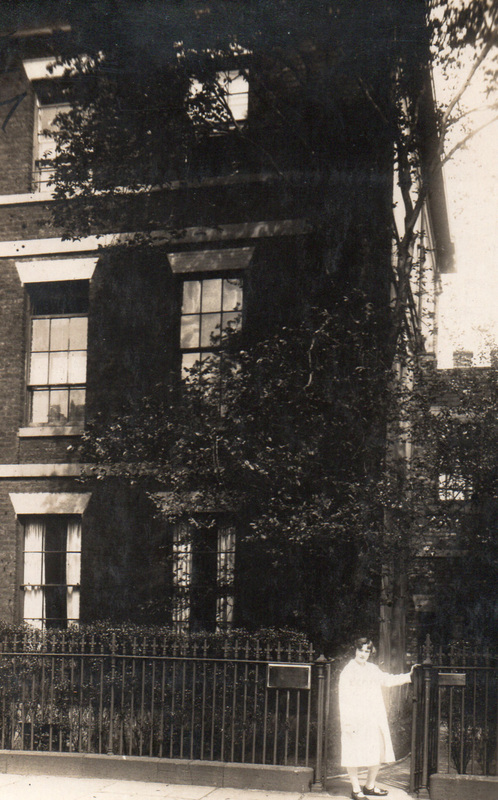 Photographic postcard of one of the Jesmond Road houses as it would have looked at the time. I wish I could say that the lady standing at the gate was Miss Hewison and the brass plaque on the railings displayed the name of the school, but I cannot. Like Jesmond Road, Queen’s College, Harley Street, was created from adjoining houses on a residential street. Originally only at No 66 (which became No 45) next door to the Governesses Benevolent Institution at No 47, the School later acquired the lease of the latter. Today Queen’s College occupies four houses (Nos. 43 – 49) the same number as NHS at Jesmond Road, so girls at both of these pioneering schools would have had to negotiate lot of flights of stairs. 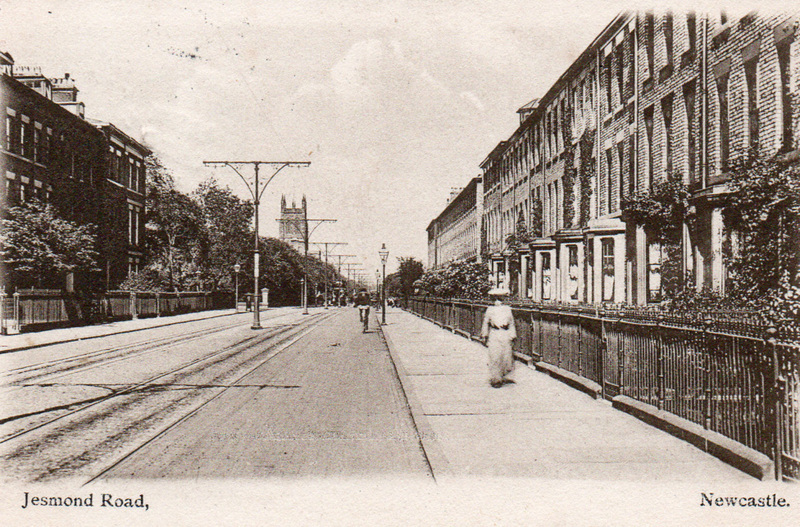 Although we don’t have any photos of Jesmond Road, owing to the similarity of structure, early postcards of Queen’s College, Harley Street, offer us an indication of what it may have looked like. 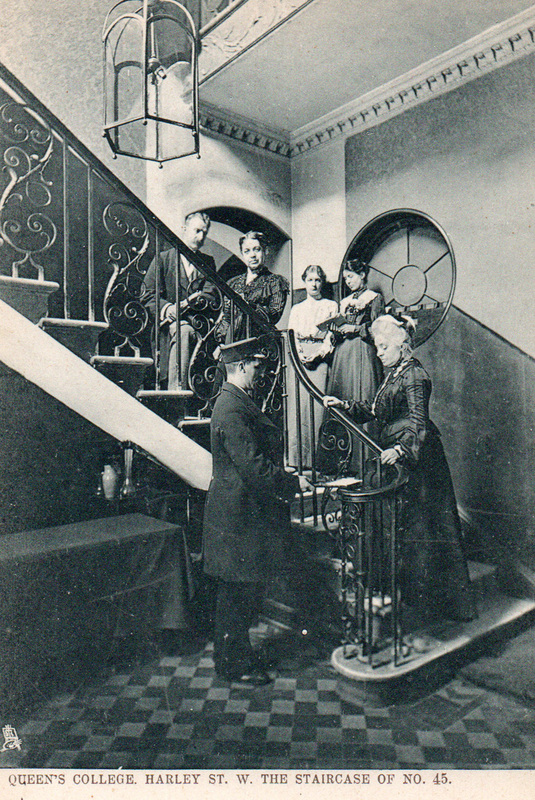 Miss Camilla Croudacre, Queen’s College Lady Resident, with her staff on the stairs of No 45 Harley Street (above) and girls & staff higher up the same stairs (below). In preparation for the opening of Newcastle High School for Girls on Jesmond Road, we know from the same meeting that ‘the kind offer of Canon Holland to visit Newcastle and make a selection of such articles of furniture as in his opinion the Council should take over’ was accepted. 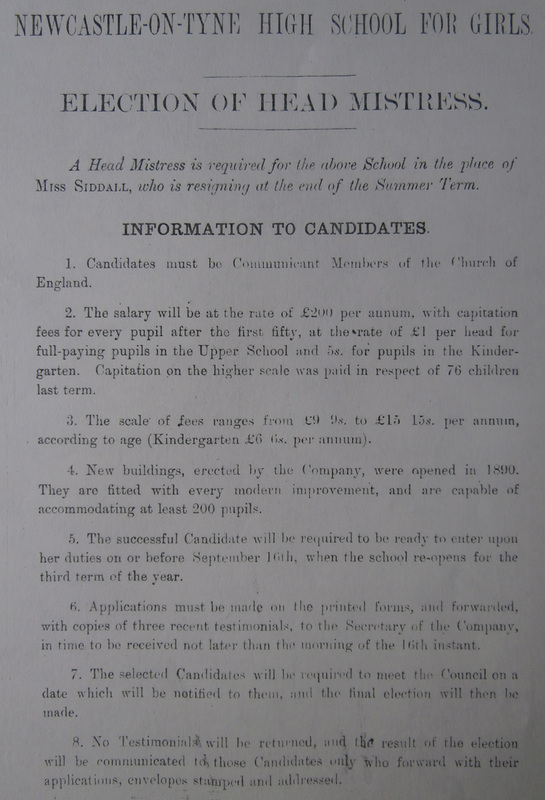 It was also agreed that ‘the fees for the ordinary courses of instruction should be £15.15/- for pupils under 12 and £18.18/- for pupils over 12 per annum’ plus ‘an entrance fee £1.1/- for all new pupils joining the school at Xmas and afterwards.’ The Head Mistress’s ‘salary of £180 (one hundred and eighty pounds per annum) together with furnished rooms, and a capitation fee of £1 (one pound) for every pupil after the first 75 and an allowance not exceeding £80 (eighty pounds) for service’ was also confirmed. Once the School had opened, at a meeting on 23rd November 1885 it was resolved that ‘the proposed institution of a Kindergarten Department at Newcastle School be approved, provided that at least ten applications shall be received’. The Kindergarten instruction fees were set at nine and twelve guineas per annum with an ‘entrance fee of 10/6 in the case of little boys’. Anyone surprised that NHS catered for boys at its outset will be even more shocked to learn boys were boarding at Church High as late as 1931. The C.S.Co. set their standard high in the appointment of NHS’s first Head Mistress. 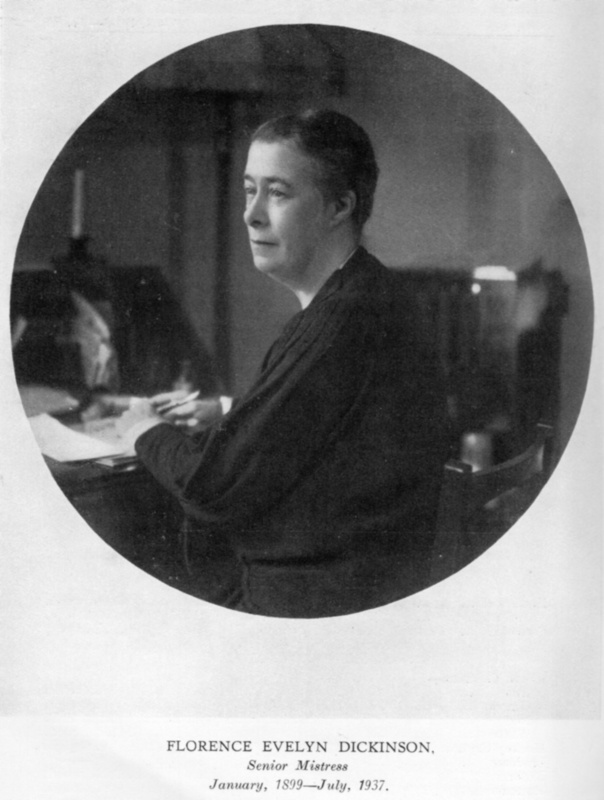 Miss Caroline Ackerley, a Clough Scholar at Newnham College, Cambridge, had already proved herself as a teacher in three placements after leaving college. Between 1876-1878 she had worked as an Assistant Mistress at Devenport High School; between 1878-1879 at Ellerslie Ladies College, Manchester; and between 1880-1884 in her home city at Liverpool High School. She was aged 28 when she took up her first Headship in Newcastle along with her sister, Miss Bessie Ackerley, who also lived in-house. Miss Caroline Ackerley, NHS Head Mistress 1885 – 1894. In June 1887, Miss Ackerley made an application for a grant of £10 from the Education Committee to start a Chemical Laboratory at Jesmond Road and in June 1888 she received approval for ‘the appointment of Miss Liddle, Mrs Blandford and Miss Simpson to give lessons in Music at the Newcastle High School, the remuneration being the fees paid by the pupils less 25 per cent.’ Miss Liddle is fondly remembered in the Jubilee book within the recollections of an Old Girl who was at Miss Hewison’s school and who stayed on after the Church Schools’ Company took it over. 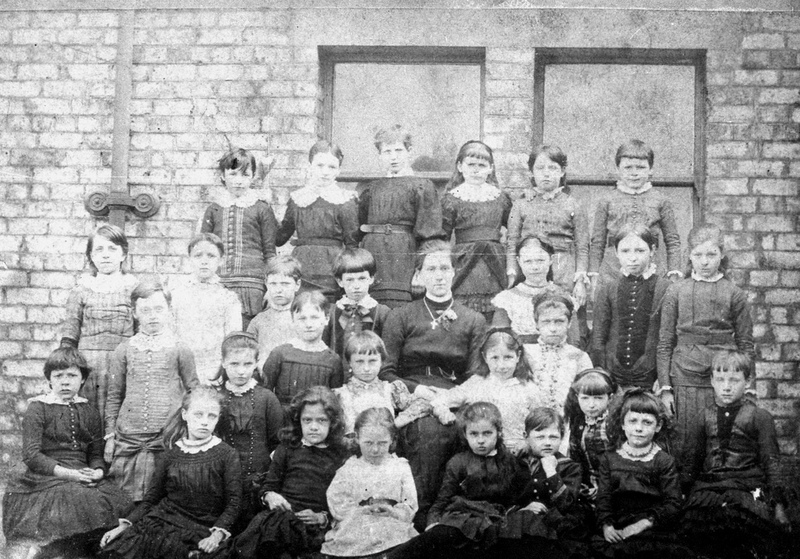 From this account we learn that ‘for long desks and forms with no backs we got single desks, and instead of school hours 9 to 12 and 2 to 4 we had long mornings.’ From amongst the teaching staff, she mentions Miss East (afterwards Mrs Anderton), who taught drawing, and Miss Liddle, who taught music. 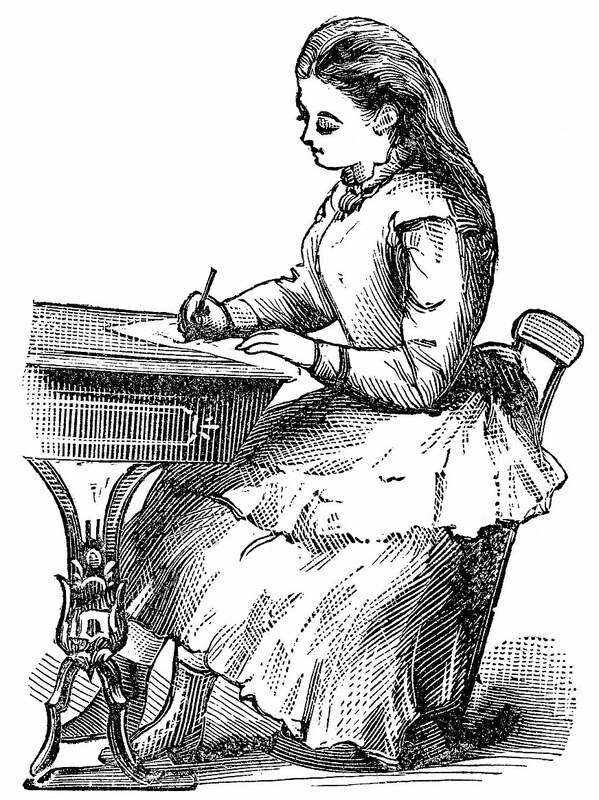 Victorian young lady working at a single desk. Florence Dickinson taught at Newcastle High/Church High for 38 years. The addition of her time as a pupil will bring her life connection with Church High to about 43 years. ‘A great many years ago, three little girls walked sedately along Jesmond Road one September morning on their way to the Newcastle High School for the first time. They walked so very primly that they were late, for the Prayer bell was ringing as they went in at the door. They had tried three other doors, all of which looked like front doors, before they had found the right one. The quantity of front doors was due to the fact that School was in four houses in Jesmond Road: No. 54 was the Head-mistress’s house, No. 56 had had its front passage blocked up and turned into a stationery cupboard, No. 58 was the Girls’ Entrance and No. 60 was the Boarding-house. Having found the right door, the three little girls were hastily bundled downstairs to what we thought was a cellar and were told to wait there, which we did. After a little time some-one came to fetch us and it appeared that we ought to have taken our things off because this was the cloakroom. It was underground and rather dark and next to it was a pitch dark room that we all called the Beetle Cupboard. It was really a coal cellar and, while we were at lessons, beetles were supposed to emerge from it and ensconce themselves in our boots. Consequently we always turned our boots upside down and shook them before putting them on – think of what tribes of beetles could have a happy time in a pair of Wellingtons – but I never saw any beetle in spite of all our shaking. Then we would all get Order Marks for being noisy! 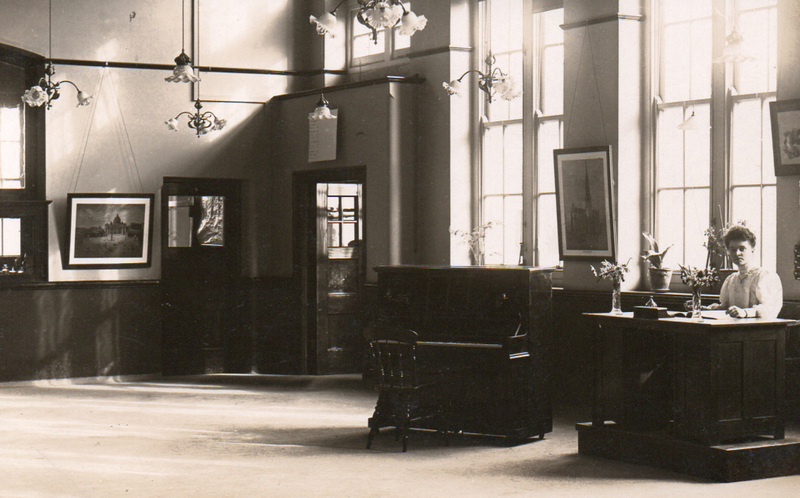 The Queen’s College Waiting Room was a lot grander. Note the girls there working at long tables, as previously described. ‘On entering School via the front door of No. 58, a way had been made through the wall into No. 56 where the vestibule was now the stationary cupboard. The front and back rooms of No. 56 had been made into one room and formed the Hall [the first Prizegivings were held in School, so this Hall was the likely venue]. Though No. 54 was the Head Mistress’s house, the first floor rooms were one big Form room. There were about 80 girls in the School and I think six mistresses besides the Head Mistress [Miss Ackerley] and her sister [Bessie Ackerley]. Then there were visiting people for Drawing, Music, Singing and Drill. We had a sergeant for Drill and the organist of Jesmond Church taught us Singing. The Vicar of Jesmond came and taught one class – mine – once a week. We did the Epistle to the Galations – I was eleven years old! The Church girls went to church on Ash Wednesday, when we had the Communion Service. 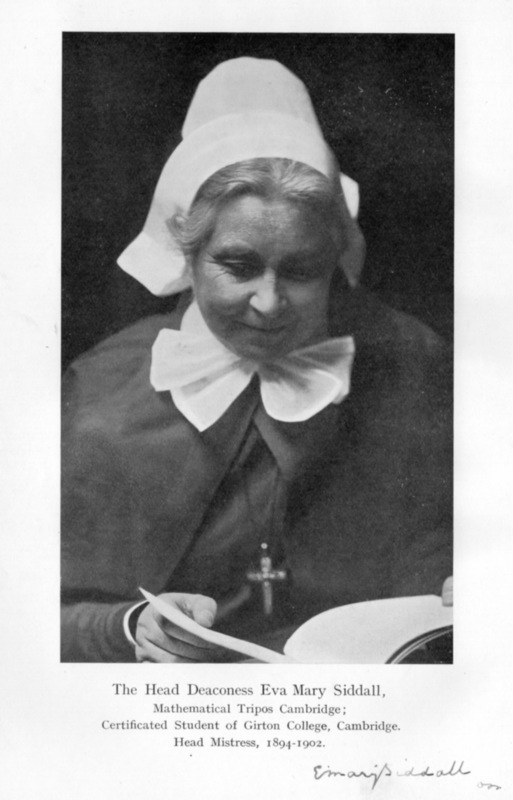 The church always had to be found for us by Miss Bessie Ackerley, who accompanied us. The Head Girl played the hymn at Prayers back then, and the march too. The Head Mistress took the attendance of the whole school directly after Prayers in the Assembly-room. A rare very early Newcastle High School prize presentation label from the School’s second Prizegiving in 1886. 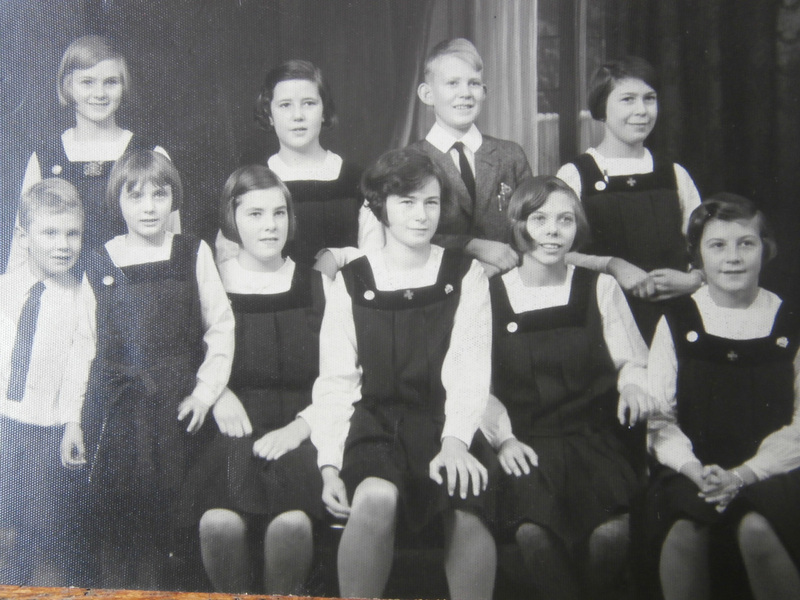 ‘There were five classes at that time – the big girls were Class One and the little ones Class Five. After Prayers on our first day, one of my sisters was put into the Third Class (for they were not called Forms then), one into the Fourth, and one into the Fifth with the babies. I was the one in the Third Class and my Form Room was upstairs. It looked over Jesmond Road and had three nice long windows nearly down to the ground. The most interesting seats were next to the windows, and, as we sat in Form order, and I started at the bottom of Class Three (which did not quite fill the room), I was the fortunate possessor of a window seat. We only played one game in those days, and some of our mothers did not approve of it. It was a very good game and developed one’s muscles well, but unfortunately it also tore one’s clothes. It was called ‘Robbers and Bobbies’. 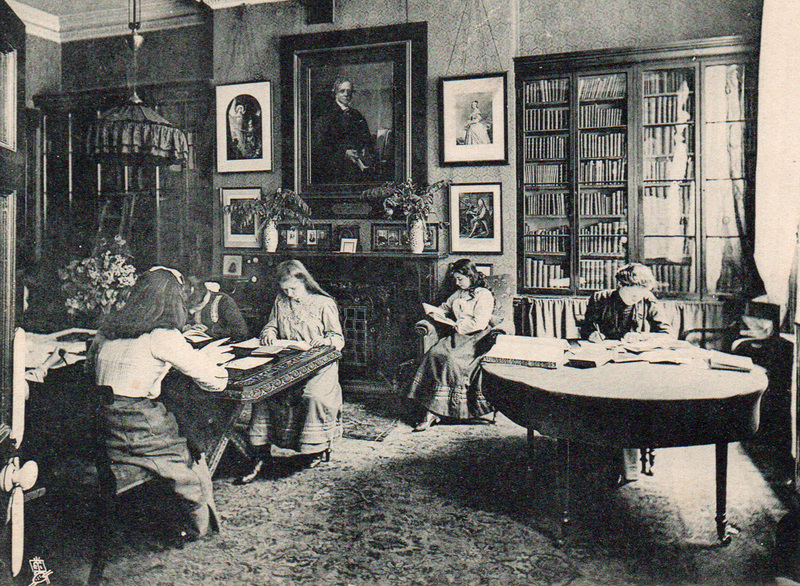 Girls at work in the Library at Queen’s College, London. ‘Lessons with Mademoiselle were memorable. She always wore a brown dress with a black alpaca apron and very quiet shoes – yet she expected us to open the door for her when she was coming to give us a lesson. We could not hear her, and our doors had no glass panels so we could not see her, and consequently we all began the lesson feeling cross. She was also very particular about clean hands. My Fourth Class sister told me that before their French lesson Mademoiselle always looked at their hands to see if they were clean, and if they were not, sent them to wash them. Nothing awful happened if you did not appear again at the class. My sister learnt practically no French while she was at School, as she always arranged to have dirty hands on French lesson days! But Mademoiselle could be terrifying and my window seat could cause me problems. On one dreadful occasion during a French lesson, Mademoiselle rushed down the room, pulled my chair from under me and made me sit by the door for the rest of the lesson. Two of the blinds were down already and it was not a sunny day, so I suppose she could not put my blind down too. We had all our French lessons almost in the dark! On a happier note, although I don’t think we had milk at lunch time, buns could be bought. Wilson’s boy used to come up every day with a basket; when I came back years later as a mistress, Wilson’s boy was still coming every day with buns. The Newcastle High School Foundation Stone is still in situ. ‘While I was at School, the foundation stone of the new School was laid in a place rather a long way off anywhere called Tankerville Terrace [at this time, the only buildings on the street other than the School were Jesmond United Reformed Church and Haldane House. The rest was open land up to St Andrew’s Cemetery] and sometime afterwards the new building was opened. We came to the opening as visitors and three things were striking – you went down steps to the Gymnasium, the Form Rooms had shiny brass locks and glass panels in the walls and doors …. One happy day I came back to my old School as a mistress.’ Just as I joyously returned home there as a NHSG Head of Year in 2016. 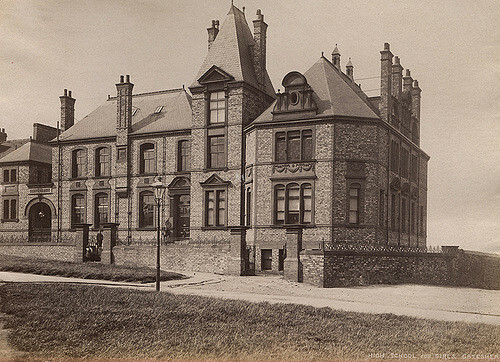 The first published picture of the NHS ‘new’ building in 1890. ‘The Newcastle upon Tyne Church High School Jubilee Book 1885-1935’, by A.C. and F.M., published in 1935 by Andrew Reid & Company, Limited. Minutes of the Church Schools’ Company (Tyne & Wear Archives). on Tankerville Terrace Reflecting on the old as we welcome in the new. A celebration of those who helped shape the building.